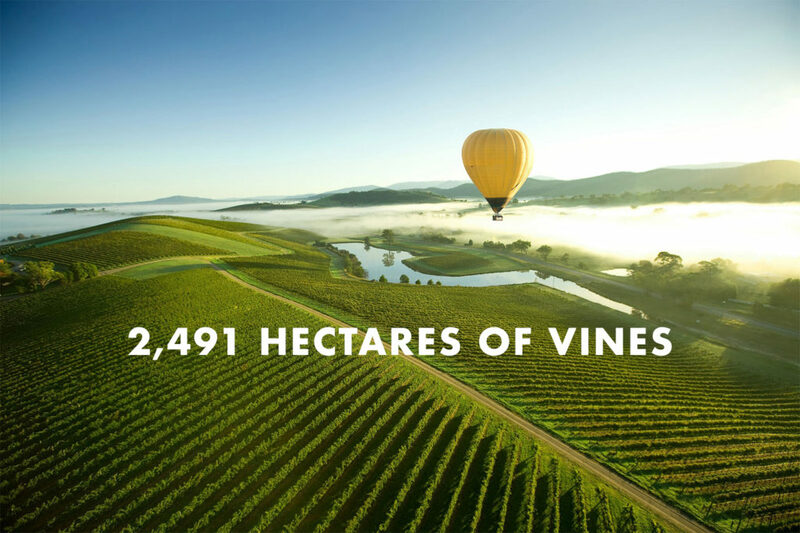 It can be easy to lose perspective on your own back yard, so we’ve put together some statistics on the Yarra Valley. The goal is to put some measurements against aspects of the wine region, and compare them with others in Australia and around the world. 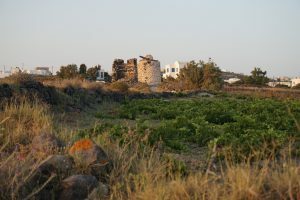 Despite being the largest wine region in Australia, the amount of vines planted is dwarfed by that of the world’s largest region: the Languedoc in Southern France has 200,000 hectares under vine. The Valley has a range of altitude, with vines planted as low as 50m above sea level, all the way to up to around 400m in the Upper Yarra. Bodega Colomé in Argentina has the highest planted vineyards in the world at 3000m. 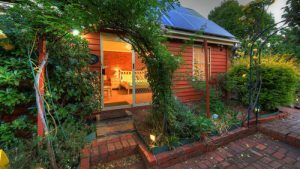 Not surprisingly, the wine region is one of Victoria’s biggest tourist attractions, both for overseas travellers and domestic day-trippers. 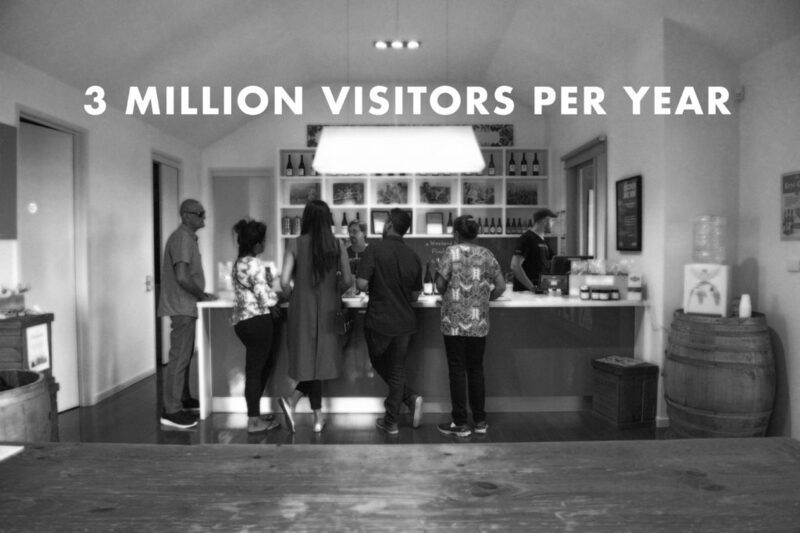 This isn’t far behind another popular wine tourism destination, with the Napa Valley receiving 3.5 million visitors last year. The wettest region in the world is Rias Baixas in Spain with 1,786mm annually. The driest is Washington State with only 227mm. 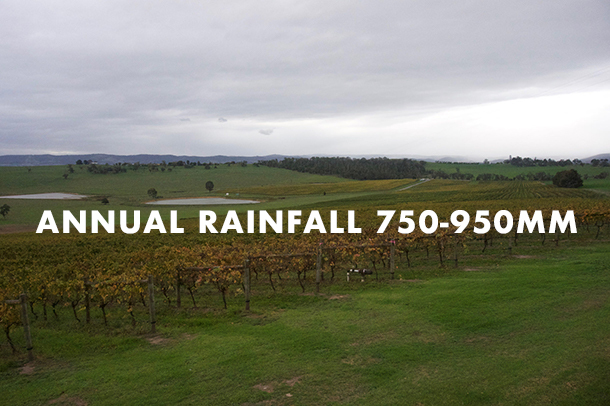 Despite being the largest single wine region in Australia, the Yarra Valley is not a large volume producer. Victoria as a whole (excluding Murray-Darling) only makes up 4% of the annual national crush. South Australia is the large volume producer, with 51% of the national total. 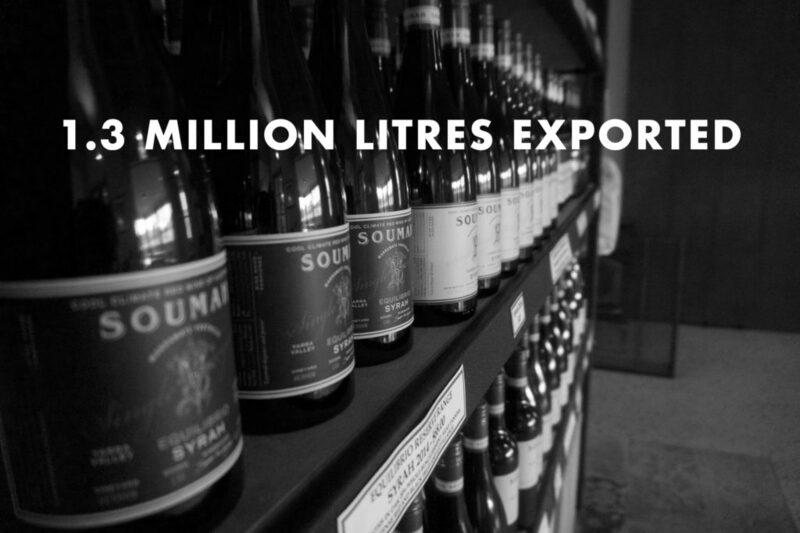 In 2016 the Yarra Valley exported 42% of its production, worth 15.8 million dollars. This is pretty small compared to the total of 7.5 million hectolitres exported by Australia as a whole, or the biggest export Spain with 22.9 million hectolitres. However the Yarra Valley wines are typically more premium and at a higher price point than other exports. For more about the Yarra Valley, check out our tours page or read about our five favourite lunch stops.